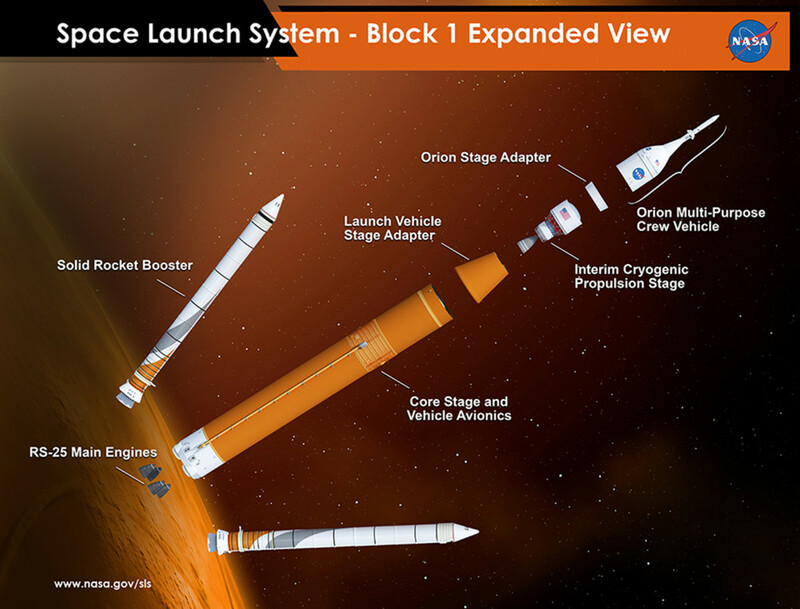 NASA’s Space Launch System: New look, same great ability to enable human exploration of deep space! Who knew signing some paperwork could be so exciting? Already in 2015, the Space Launch System team has done things like successfully fired an incredibly powerful qualification test version of the solid rocket boosters, completed an entire series of full-duration tests of a RS-25 core stage engine, built a structural test article of the first flight’s upper stage and filled a factory floor with 50 barrels, rings and domes, all 27.6 feet around, all waiting to be stacked into sections of the core stage. And, amidst all the smoke and fire and bending giant pieces of metal, there was the Critical Design Review. 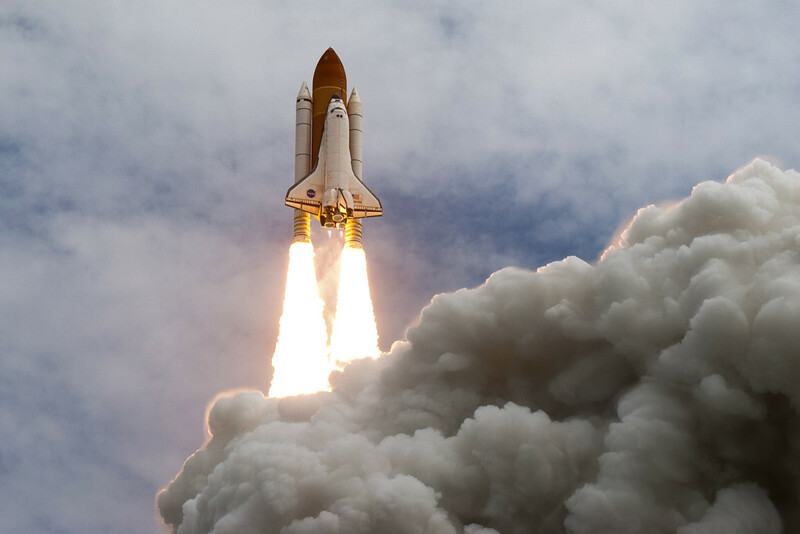 While it may not have generated the exciting pictures and video those other milestones did, the Space Launch System CDR is a huge step forward and one for the history books – the first CDR of a NASA crew launch vehicle since the space shuttle almost 40 years ago. The design documents for a rocket are incredibly complicated, and the CDR process is an incredibly complicated review of an incredibly complicated design. Two teams – one chartered by the SLS program and the other an independent review board consisting of aerospace experts – go through the documents looking for any issues – from big-picture concerns about the function of the vehicle to “minor” discrepancies between two pieces of documentation. They go through the design with a fine-tooth comb, and then go through the results of that with an even finer-tooth comb. 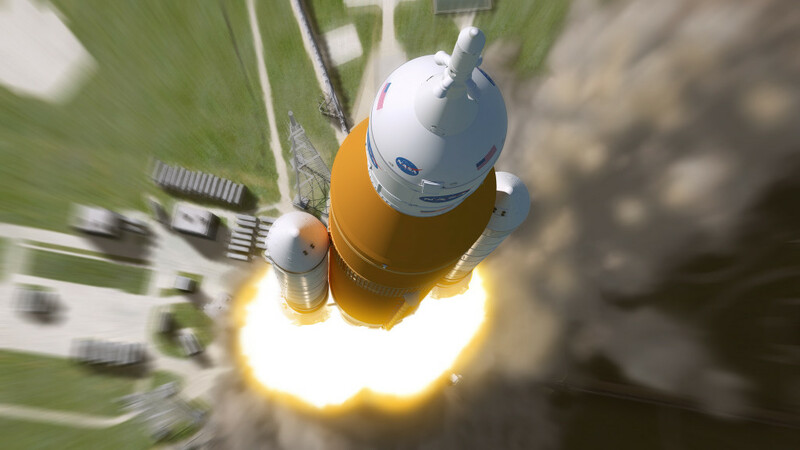 The CDR process officially determines that the design for the vehicle is mostly complete – a requirement that SLS exceeded – and is ready to move into manufacture and assembly. In the case of SLS, where the major elements of the vehicle had previously completed individual CDRs and are already under construction, this milestone paves the way for assembly and testing as those elements become the complete vehicle. Along with the completion of CDR, we were excited to make one other announcement – the official new look of SLS. All the ingredients needed for building an exploration-class rocket. When we first announced Space Launch System four years ago, the rocket was still in the very early phases of design, and the artist’s concepts we revealed then didn’t have nearly as much technical detail to go on. Now, the designs and processing plans for the vehicle matured to the point that we were ready to make updated decisions about the appearance of the vehicle. With CDR, we’re proud to reveal a look of the rocket based on the results of four years of work maturing the design – integrating the engineering reality of the vehicle and a lot more color. On the surface, the new look may appear to be a cosmetic change, but those changes speak to the depth of complexity involved in maturing the design for a rocket – the trade-offs between extra thermal protection versus extra payload capability, the balancing act of making sure some parts of the rocket don’t get too hot while other parts don’t get too cold. You may recognize the orange color of the core stage; it’s the natural color of the spray-on foam insulation that covered the external tank of the space shuttle. Under the white-and-black exterior we’ve been showing the foam has always been there, and for essentially the same reason as on the shuttle’s external tank. Inside the structure are tanks holding super-cold liquid oxygen and liquid hydrogen, and the insulation helps prevent the cryogenic liquids from evaporating as well as mitigating the formation of ice on the outside of the stage. By not adding paint to the core stage, we’re reducing the weight of the rocket, which increases payload capability, and saving cost of both paint and the equipment needed to apply it. During the first year of the space shuttle program, the external tank was painted white to provide additional protection. After the first two flights, the decision was made that the benefit of the increased payload capability without paint outweighed the protective benefits the paint provided. While today it would be possible to paint the larger SLS core stage with less paint than was used on the external tanks, it was discovered during those missions that paint could actually cause the foam to absorb so much water that, in the case of SLS, the combined impact of paint and water could reduce payload capability by a thousand pounds. While most of the core stage consists of the large hydrogen and oxygen tanks, the orange foam will cover two other sections as well – the intertank structure between the two tanks and the forward skirt at the top of the core stage above the liquid oxygen tank. The foam in these two areas will also contribute to maintaining propellant temperatures and to ice mitigation, but serves another purpose as well. During launch and ascent, the foam protects sensitive equipment inside those areas from the high temperatures on the vehicle’s exterior. We made one other change to the look of the vehicle, a design on the solid rocket boosters that reflects the upward momentum of the rocket. Unlike the core stage tank, the booster design has negligible impact on payload, and gives SLS a unique look entirely its own, fitting for a 21st century launch vehicle. And while the new look may make the rocket seem a little more real, the Critical Design Review marks a huge step forward toward a completed rocket. There can be motivation in a sense of “since.” We test-fire an RS-25 engine, and it’s a first since we retired the shuttle. We complete the CDR, and it’s the first of its kind since the shuttle was in development. You look at what happened the last time NASA did these things, and you realize the significance of what we’re doing. And that “never before” will be just the beginning.